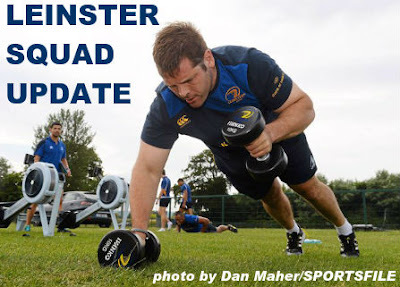 Leinster Rugby Head Coach Leo Cullen has this morning ruled captain and full back Isa Nacewa out of this afternoon's European Rugby Champions Cup game against Wasps (Kick Off: 1.00pm - live on BT Sport, available in Ireland through Setanta Sports pack). Nacewa jarred his knee during training on Tuesday but was given every chance of making the team to face Wasps. Unfortunately having taken only a limited part in the captain's run at the RDS yesterday, he has not recovered sufficiently to take to the field today. 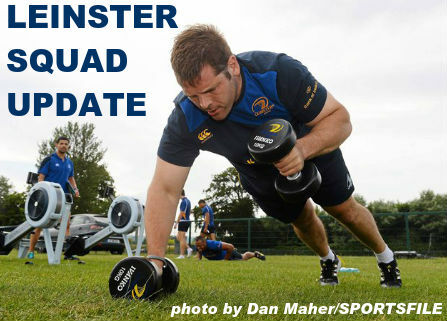 Isa's place in the starting XV will be taken by Ian Madigan, with Cathal Marsh coming onto the bench. Jamie Heaslip will captain the side from number eight. Madigan played at full back in the corresponding fixture last season scoring ten points from the boot, while Marsh is in line to win his first European cap from the bench having played in six of the seven Guinness PRO12 games this season, scoring one try in the process.